Aaron Cole November 13, 2017 Comment Now! Every year at Motor Authority we drive hundreds of vehicles to tell you what's best—swank luxury sedans to hypercars that chew through miles. This year we had a wide-ranging mix including a superb Porsche Panamera, a stunning Lexus LC 500, an upstart Kia Stinger GT that we loved to drive. But what's our Motor Authority Best Car to Buy 2018? 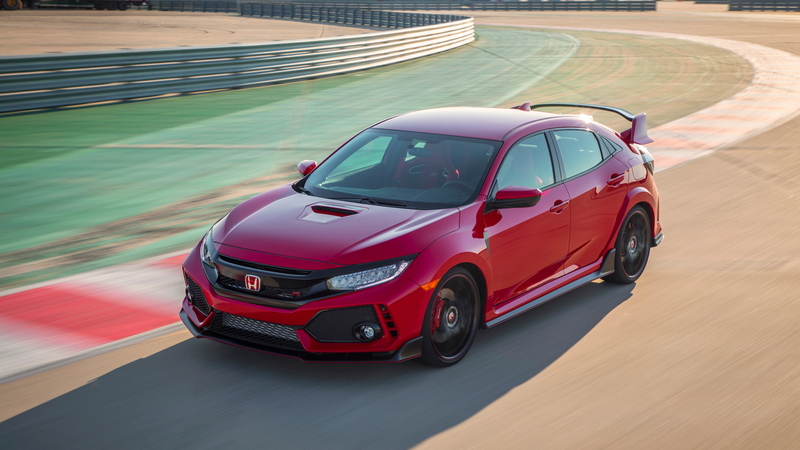 It's the new Honda Civic Type R.
It's our new best friend, but with way better mechanicals than our old best friend. 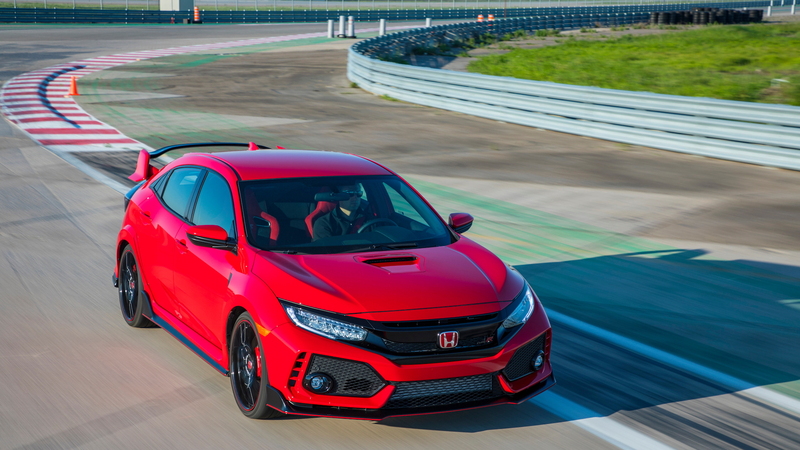 The 2018 Honda Civic Type R starts life as a Civic, but adds a new 4-cylinder with turbocharging and VTEC. It shoves you into the seat with 308 horsepower and 295 pound-feet of torque, shifted to an honest-to-goodness 6-speed manual. It’s front-wheel-only, but it’s hardly noticeable. 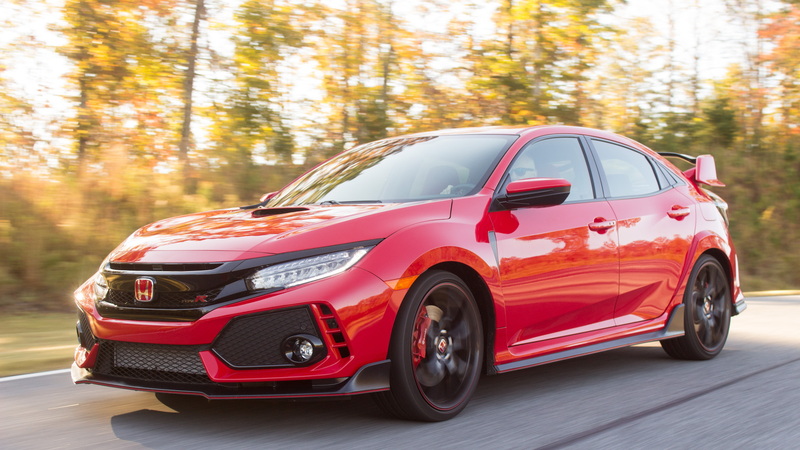 The Type R takes the Civic’s already-good bones and shows it off. It’s flat, fast, and excellent around corners. It’s also amazingly civilized on road too. Adjustable dampers toggle between comfort and sport settings—a first for the Civic and it’s already spread to the Civic Si too—and despite the big, wide, and thin 19-inch tires that are nearly painted on, it’s comfortable on long distances too. And that’s before we’ve even gotten to the Civic’s Civic-ness. Without the engine, transmission, and suspension, it’s just a Civic hatch: comfortable for four and most of their gear. Six-footers can sit behind six-footers, and while we’re not sure why there’s not a center seating position, the back seat is plenty useful. 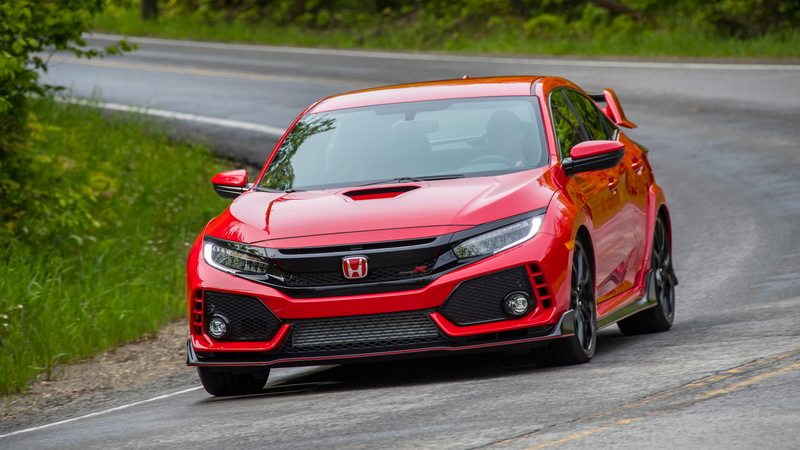 The Type R sports deeper front buckets that you won’t find in a regular Civic, and you’ll need those when you’re ripping through corners and cloverleafs at waaay too fast. The Type R also lacks some creature comforts that you can get on the Civic, like seat heaters and leather. Those would be useful. Not so useful? The geegaw stuff. 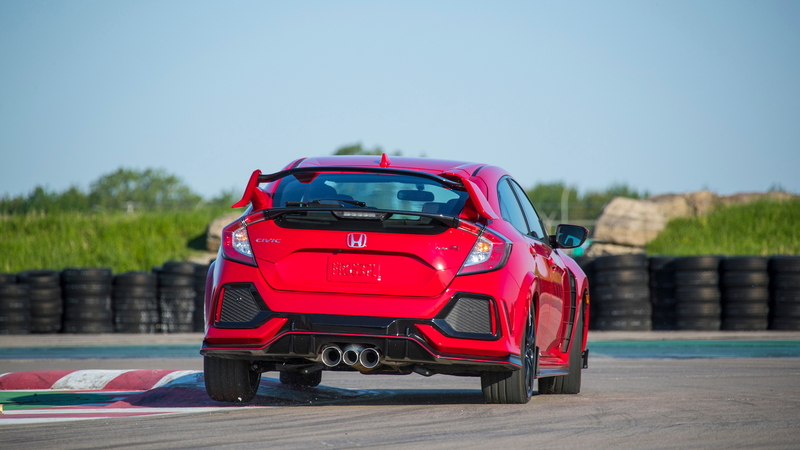 There are many, many, many boy-racer bits including the rear wing, diffusers, accents, and macho marks that announce to the world that you’re not just driving another Civic, like every other Civic. It’s entertaining, but boy is it tiring. The sensible sides of us ask for a Honda Civic Type R Touring trim that deletes it all and leaves us with a sleeper with all of the fun and none of the looks. It has a leg up on the competition thanks to its driveability—or maybe it's just lifting its leg? Everything from the willing engine to the superb 6-speed and it's wild style that speaks to its intended audience makes the Civic Type R our Best Car to Buy 2018. And we haven't even started talking about it's Civic practicality. It's our Best Car to Buy 2018. Congratulations to Honda, its engineers, and to turbocharging and VTEC that makes it all possible.